Please Sign up if you are not registered user. We are looking for a ASP.net core developer to lead the web based Angular application like - Hospital, Online examination, classified web portal etc. This position will be responsible for innovating and developing a wide range of world class UI extensive applications of high-quality and high-performance to meet dynamic and international environment and standards, suitable for other mobile devices. Entity Framework 5 or above. We are looking for a mobile app developer to lead the design, development of iOS and Android apps. This position will be responsible for innovating and developing a wide range of world class UI extensive mobile applications of high-quality and high-performance to meet dynamic and international environment and standards, suitable for mobile phones, tablets, phablets and other mobile devices. Acting as lead iOS and Android developer. Deliver across the entire app life cycle –concept, design, build, deploy, test, release to app stores and supportWorking directly with developers and product managers to conceptualize, build, test and realize productsGather requirements around functionality and translate those requirements into elegant functional solutionsBuild prototypes at tech scoping stage of projectsWorking along the web developers to create and maintain a robust framework to support the appsWorking with the front end developers to build the interface with focus on usability featuresCreate compelling device specific user interfaces and experiencesStandardizing the platform and in some cases apps to deliver across multiple brands with minimal duplication of effortOptimizing performance for the appsKeep up to date on the latest industry trends in the mobile technologies. Explain technologies and solutions to technical and non-technical stakeholdersAttend industry events/ conference – both attending and presentingPerson specification:Proven commercial software development experience – desktop and mobilePublished examples of mobile applications on the App store or the Android marketExcellent knowledge in information architecture, human computer interaction and usability design principlesA track record of delivering successful consumer and or business products. Ability to use analytic data and user testing to inform design decisionA passion for new consumer technology and the emerging media landscapeAbility to multi task and good time management skills. Ability to work on their own and as a part of the teamExcellent scoping and estimation skills. Excellent testing/ QA skillsExcellent communication skills (verbal and written) to liaise with various departments locally and internationally. Common -Understanding of other compiled languagesExperience on web service integration (SOAP, REST, JSON, XML)Experience of development using web technologies. Interseted candidate can apply for the training or internship as a intern post in asp.net / Angular /PHP etc. 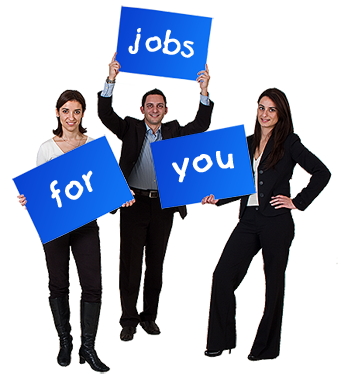 Web Service Delhi offer Industrial training on search engine optimization for those candidate who wish to career on IT. No matter what qualification they have. It will be helpful to fresher get a career skill. This innovative approach inspired by Honable Prime Minister Skill Development Training in India. WEB SERVICE DELHI training empowers the participants with best practices, relevant skill sets as well as latest updates and insights on digital marketing. This enables the candidates to confidently promote any business online. Course Fee in market : Rs.50,000/- or above but Web Service Delhi provide in 10,000/- on 6 month live training. With 6 month work experience letter. Incase need any assitance please feel free to contact us. Our HR will revert as per current seat availability. We save your resume first come first serve periority basis incase vacant seat not available. Web Service Delhi © 2010-18 All Rights Reserved.